Really enjoyed the play (I love when you have to pay attention to where in time you are!) and thought all the performances were terrific – really well cast and enjoyed the all-girl approach as well – it was very interesting. [This] show should be seen! I thought it was an exceptional production. The play is fascinating with all its layers and time shifts. The director handled it seamlessly. I loved the women playing the men’s roles; all were excellent. Very intriguing. 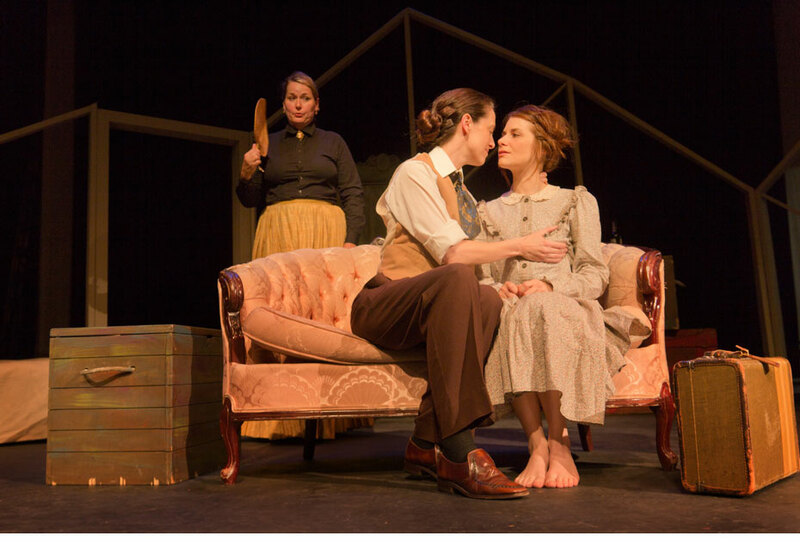 This is a play that demands something from its audience, but the audience is justly rewarded. Go see it! It is one of the best plays I’ve ever seen. The entire cast is brilliant and the play itself is beyond captivating and intense. I have read both Jane Eyre and Wide Sargasso Sea. This play was captivating! Highly impressed – will be back! After Mrs. Rochester, written by playwright Polly Teale, looks at the life of Jean Rhys, the author of Wide Sargasso Sea – a sort-of prequel to Jane Eyre. Rhys’s life connects in many ways to Brontë’s book, starting from her childhood growing up in the West Indies where Rochester’s character meets his mad wife. Teale’s play follows Rhys from her strict childhood to her time spent as a young showgirl in London through to the publication of her most famous book. This is a play with many layers, both emotionally and literally. It’s about a writer who wrote a book because of an obsession with another book… It really feels like you’re watching three stories unfold at once, but because of Teale’s script and some very efficient direction from Laura Roald, it never feels confusing…. I enjoyed this production very much … I encourage theatre fans to go see it. ELLA (Jessica Rose – seated, right) has a visitor at the convent.